So I've got a couple bikes in the LBS this winter. 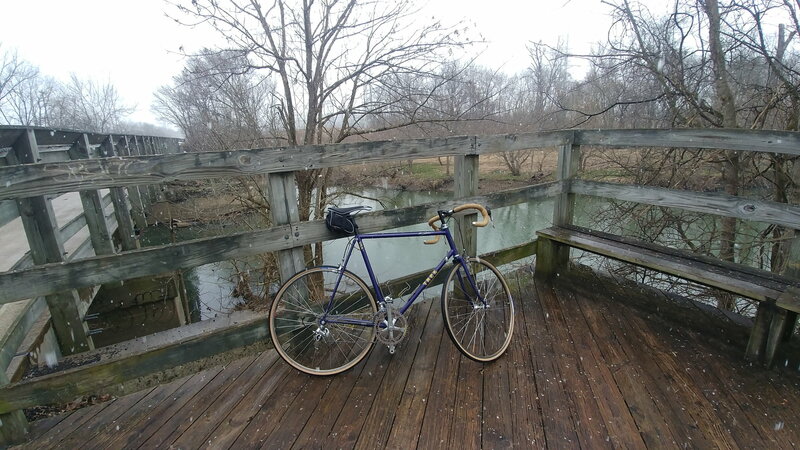 A Gunnar, Mercian and Trek 612. I got an email, they wanted to talk about them, and they have one ready. I thought it was the Mercian. It was just getting a new stem. 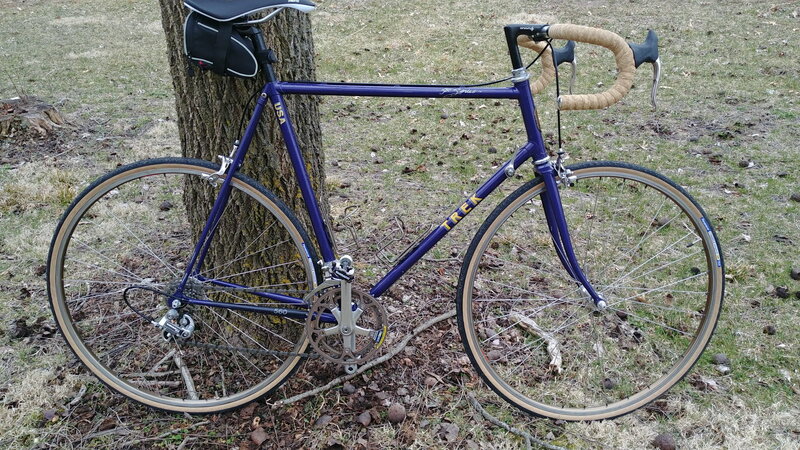 I honestly cannot remember owning a purple bike. 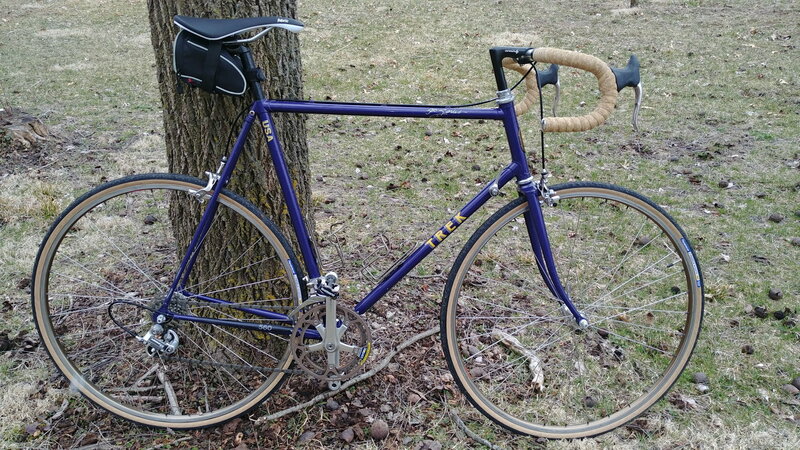 I cannot remember owning a Trek 560. The LBS swore the build components were mine. Which makes sense. I have several Shimano 600 sets. I pray someone recognizes this frame. I pray that person also remembers selling this frame to me......cause I don't plan on giving this back. It is a fun ride!!! The LBS said this was my project for them last year!!! And it's been hanging in their back room for a year. It was better than Christmas!! That's a beaut! Looks like you're short a chainring bolt though. yes. Thank you. That is on the docket to replace before ride #2 .